The Bureau of Indian Affairs’ (BIA) role in supervising tribal elections was removed on October 19th by the Obama Administration to encourage more tribal control over Internal Affairs. Prior to this shift, the BIA handled every aspect of secretarial elections, from deciding who can vote to adding up the results. With the new set-up, tribes no longer have to wait on the BIA to review and conduct secretarial elections, which was a long a process that caused delay. Tribes now have the option to eliminate secretarial elections, and are even encouraged to do so by the BIA in order to help tribal self-determination and self-governance. “1. The minimum voting age will change from 21 to 18. 2. The tribe’s official name will change from the Oneida Tribe of Indians of Wisconsin to the Oneida Nation. 3. The Secretary of Interior will be removed as the federal oversight authority for future changes to the tribe’s constitution. 4. The formal establishment of the Oneida Judiciary as a branch of government within the tribe’s constitution. Tribal leaders have been working on achieving this level of self-governance for over a decade. 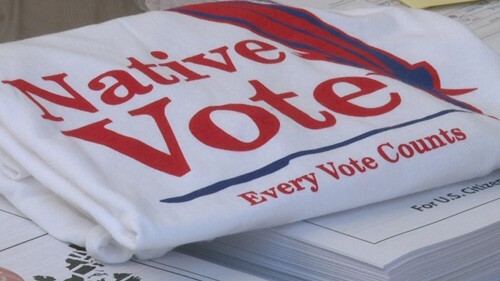 Efforts in securing self-governance include referendum question voting, community outreach, and presentations at General Tribal Council meetings. However, this change in regulation has been met with some disputes. A tribal member has challenged the outcome of the Secretarial election before the Interior Board of Indian Appeals, resulting in putting the constitutional reforms on hold. Once the constitutional reforms have been made, Oneida citizens will not be able to have the BIA intervene on a reservation dispute or oversee future changes to the tribe’s constitution. In 2009 and 2010, the Obama administration held tribal listening and consultation meetings which lead to this new rule in October 2014. The final ruling on this issue becomes effective on November 18th.